Same case as previous image. Superficial soft tissue has been dissected away revealing firm, yellow-tan tumor. 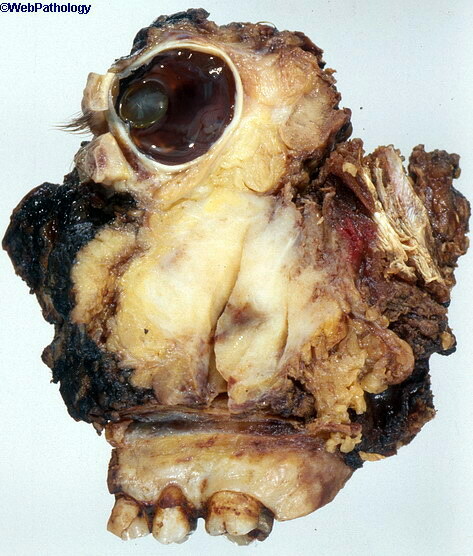 Sections revealed tumor encasing optic nerve.